Muay Thai is a combat sport from Thailand that uses stand-up striking along with various clinching techniques. Muay Thai is known as “the art of eight limbs” because it is characterized by the combined and efficient use of fists, elbows, knees, shins and feet. Practicing Muay Thai requires excellent physical conditioning and coordination, and so is great for both ordinary athletes and fighters. If you want to train Muay Thai in Bangkok, you have come to the right place! The sport became widespread internationally in the twentieth century as its effectiveness became clear in combat against practitioners of other martial arts. Muay Thai training and combat are rich in Thai tradition and culture and it is the national sport of Thailand. 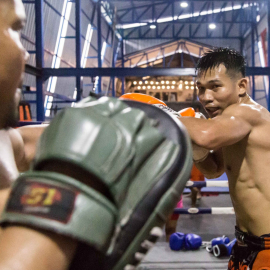 Bangkok Fight Lab offers Muay Thai in Bangkok for athletes of all skill levels, and it is a core component of our fighter-training program. Try our All Levels class to develop solid technical skills, improve your understanding of this martial art, and get super fit. Our Intermediate+ classes are for athletes who want to go deeper, move faster and hit harder. 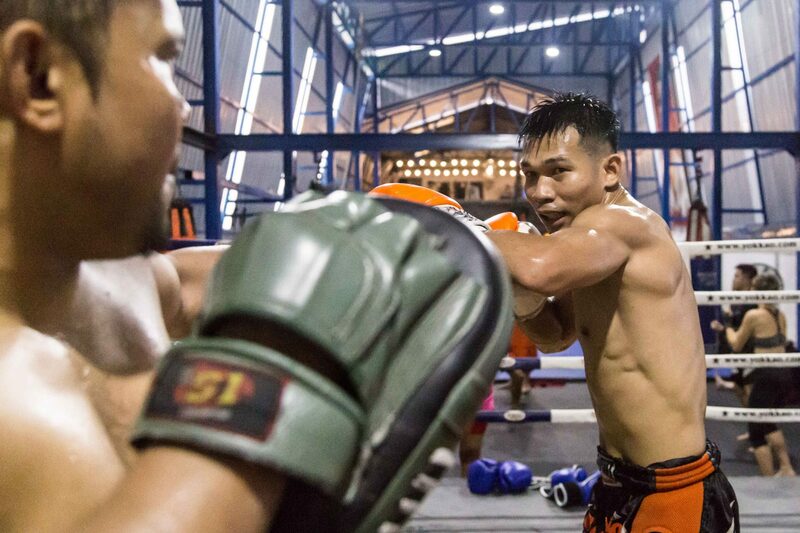 For Muay Thai in Bangkok, BangkokFightLab is the no.1 gym to visit!